Lecturer at Department of Economics, Faculty of Economics and Management, Bogor Agricultural University (IPB) Indonesia. Bachelor Undergraduate Program of, Economic Faculty, Airlangga University. Master (MSc) Economic Faculty, University of Indonesia. 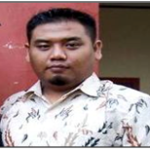 2010 – Present Lecturer, Faculty of Economic and Management-IPB, Bogor, Indonesia. 2009 Consultant, World Bank Office in Jakarta (WBOJ), Indonesia. 2009 Consultant, Decentralization Support Facility (DSF), DFID, Jakarta, Indonesia. 2008 Public Finance Specialist, Building and Reinventing Decentralized Governance (BRIDGE), UNDP, Jakarta, Indonesia. 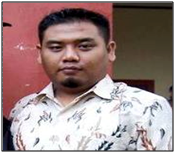 2008 Associate Lecturer, Economics Postgraduate Program of TrisaktiUniversity, Jakarta, Indonesia. 2007 – Present Researcher, International Centre for Applied Financial Economic (InterCAFE)- IPB, Bogor, Indonesia. 2007 – Present Economist, the Institute for Development of Economic and Finance (INDEF), Jakarta, Indonesia. 2007 Consultant, Building and Reinventing Decentralized Governance (BRIDGE), UNDP, Indonesia. 2007 Associate Lecturer, Undergraduate Program of Management, ParamadinaUniversity, Jakarta, Indonesia. 2002 – 2007 Researcher, the Institute for Development of Economic and Finance (INDEF), Jakarta, Indonesia. 2002 – Present Associate Researcher, the Regional Economic Development Institute (REDI), Surabaya, Indonesia. 1999 Enumerator, Research Division of Mark Plus Strategy Consulting, Surabaya, Indonesia. 1997 Surveyor, Research Bureau Indonesia (RBI), Surabaya, Indonesia. 2011 “Evaluation Study of Rural Development Programs in Improving Rural Community Welfare”, National Development Planning Agency (Bappenas). 2011 “Climate Change Impact on Strategic Foods Production, Poverty and Farmer’s Wealth in Indonesia,” Bogor Agricultural University. 2011 “Feasibility Study of Mortgage Guarantee Development in Indonesia”, Ministry of Housing. 2011 “Dealing with Commodity Price Volatility in East Asia”, Ministry of Finance. 2010 “Survey of Stakeholder Perception of Ministry Of Finance Services”, Ministry of Finance. 2010 “Study of International Bonds and Credit Guarantee and Investment Facilities (CGIF) in Indonesian Perspective”, Ministry of Finance. 2010 “Study of Pro-Green Policy Improvement Effectiveness”, National Economic Committee (KEN). 2010 “Impact Analysis of Fiscal Decentralization to the disparities of Compulsory Education Access in Indonesia”, Ministry of National Education. 2010 “Evaluation Study of Agriculture Revitalization in Improving Farmer Welfare in Indonesia”, National Development Planning Agency (Bappenas). 2010 “Administrative Obstacles in investment to the industries”, BKPM. 2009 “Regional and Urban Development of Indonesia”, World Bank Office Jakarta (WBOJ). 2008 “Study on 9 Years Compulsory Education”, National Development Planning Agency, Indonesia. 2008 “Provincial Human Development Report – Gorontalo PHDR”, UNDP Indonesia. 2007: “Study on Government of Indonesia and Islamic Development Bank (IDB) Cooperation Improvement Strategy”, National Development Planning Agency, Indonesia. 2007 “Study of The Framework of Subsidizing Policy In Indonesia”, National Development Planning Agency, Indonesia. 2007 “The Evaluation of Proliferation In Indonesia”, BRIDGE, UNDP Indonesia- National Development Planning Agency, Indonesia. 2006: “Study on Indonesia’s Foreign Debt Financing Management Strategy”, National Development Planning Agency, Indonesia. 2006 “Survey of Value Improvement Program (VIP) of BRI’s Units”, Bank Rakyat Indonesia (BRI). 2006 “Study on Rice Trade Regulation”, Ministry of Trade, Indonesia. 2006 “Study on Economic Incentive for Environmental Management”, Ministry of Environment, Indonesia. 2006 “Policy Study on The Economic Prerequisite to Decentralized Governance Preliminary Stage” LOGIC, National Development Planning Agency -UNDP. 2006 “Study of Cooperation Bank in Indonesia”, The Ministry of Small Medium Enterprise and Cooperation of Indonesia. 2006 “Baseline Survey on Bank Rakyat Indonesia (BRI) as Apex Bank for Bank Perkreditan Rakyat (BPR)”, Bank Rakyat Indonesia (BRI) and Bank Indonesia. 2005 “Survey on Direct Foreign Investment Barriers at Eastern Indonesia”, REDI and European Union (EU). 2005 “Study on Foreign Borrowing Strategy”, National Development Planning Agency, Indonesia. 2005 “Survey on Costumers Satisfaction of Bank Perkreditan Rakyat (BPR)”, Bank Indonesia and GTZ-Profi German. 2004 “Survey on Price and Wage Setting Mechanism”, INDEF – Bank Indonesia. 2004 “Survey on Economic Value Added (EVA) of BRI’s Units in Indonesia (Selindo)”, Bank Rakyat Indonesia (BRI). 2003 “Survey on Economic Value Added (EVA) of 40 BRI’s Units”, INDEF – Bank Rakyat Indonesia (BRI). 2003 “Developing Guideline for Feasibility Studies in Regional Autonomy Partnership”, Ministry of Home Affairs, Indonesia. 2002 “Study on Soft Loan’s Distribution Mechanism of JBIC-PAE Program”, INDEF – The Ministry of Environment, Indonesia. 2001 “Survey on Trade and Investment Barrier of Tobacco, Study Pamekasan, Jember and Probolinggo”, REDI – United Stated Agency for International Development (USAID). 2001 “Study On Improving Public Services Quality in Surabaya and Sidoarjo”, Institute for Policy and Community development Studies (IPCOS). 2000 “Public Services Quality Evaluation in Surabaya and Sidoarjo”, Institute for Policy and Community development Studies (IPCOS). Purwanto, D.A., Ernita M.2012. Impact of Fiscal Decentralization Impacts on Primary Education Access Disparities in Indonesia, Jurnal Ekonomi dan Pembangunan Indonesia (JEPI), 13(1). Purwanto, Deniey A., Iman S., Tony I., Ade K., Tony B. 2010. The Impact of Inflation on Rural Poverty in Indonesia: an Econometrics Approach, International Research Journal of Finance and Economics (IRJFE). Purwanto, Deniey A., 2010. Anticipating Inflation in 2010, Esquire Magazine, August edition 2010, in Bahasa. Purwanto, Deniey A., 2009. Decentralization and Its Impact on Education Outcomes, Bogor, International Regional Science Association Institute (IRSA). Purwanto, Deniey A. 2007. Newly Autonomous Regions Competitiveness and the Implication for Poverty Reduction, SATE 2007, Economic Faculty, University of Indonesia, in Bahasa. Purwanto, Deniey A. 2006. The Policy Package of Investment Climate Improvement: A Credibility Policy Perspective, Journal of Business and Political Economic, Vol. 07, No. 02, April edition, in Bahasa. Purwanto, Deniey A., M. F. Hasan, 2006. Investment Policy: Fostering Sustainable and equalized Economic Growth, Journal of Economic Policy, Volume I/No.3, Master Program of Public Policy Planning, Economic Faculty, University of Indonesia, in Bahasa. Purwanto, Deniey A., B. Arifin, I., Sugema 2006.The Assumptions of RAPBN 2006: Impossibility Continued, INDEF Policy Assessment (IPA), August, in Bahasa. Purwanto, Deniey A., 2005. Indonesian Monetary Policy: The First Year of The Kabinet Indonesia Bersatu, Business and Economic Politic Journal, Vol. 08, No. 03, October edition, in Bahasa. Purwanto, Deniey A., 2005. Foreign Debt Management for Enhancing the Economic Growth, Journal of Business and Political Economic, Vol. 06, No. 01, April edition, in Bahasa. Purwanto, Deniey A., Aviliani, 2005. Economic Agenda for The Cabinet of Indonesia Bersatu, Co-Author with Aviliani, Bisnis Indonesia, 21st October edition, in Bahasa. Purwanto, Deniey A., 2005. Credibility Devastation of Kabinet Indonesia Bersatu, INDEF Policy Assessment (IPA), September edition. Purwanto, Deniey A., 2005. The Assessment on Second Revision on National Budget (APBN-P II) for 2005”, INDEF Policy Assessments (IPA), November edition, in Bahasa. Purwanto, Deniey A., I. Sugema, Aviliani, M.F. Hasan, 2005. The Assessment on Financial Note and Estimated National Budget (RAPBN) for 2006”, August edition, in Bahasa. Purwanto, Deniey A., I. Sugema, Aviliani, M.F. Hasan, 2004. The Presidential Candidate’s Platforms: Illusion, Ambition and Inconsistency, INDEF Policy Assessments (IPA), May edition, in Bahasa. Purwanto, Deniey A., I. Sugema, 2004. RAPBN 2004: Between Ritual And Post Program Monitoring, Koran Tempo, August edition, in Bahasa. Purwanto, Deniey A., I. Sugema, 2004. The Assessment on Financial Note and Estimated National Budget (RAPBN) for 2005, Koran Tempo, July edition, in Bahasa. Purwanto, Deniey A., I. Sugema, 2004. Export Tax Policy And De-Industrialization Process, INDEF Policy Assessments (IPA), March edition, in Bahasa. Purwanto, Deniey A., I. Sugema, 2003. The Assessment on Financial Note and Estimated National Budget (RAPBN) for 2004, INDEF Policy Assessments (IPA), August edition, in Bahasa. Purwanto, Deniey A., 2003. The Threatening of Economic Fall, FORUM Magazine, No. 38, 12th January edition, in Bahasa. Purwanto, Deniey A., 2003. The Impacts of RAPBN to Household Budgeting, FORUM Magazine, No. 37, 6th January Edition, in Bahasa. Purwanto, Deniey A., 2002. Urgency of Foreign Debt Law, Forum Keadilan Magazine, No. 24, 29th September edition, in Bahasa. Purwanto, Deniey A., 2002. The Vanishing of Economic Openness, FORUM Magazine, No. 36, 12th November edition, in Bahasa. Purwanto, Deniey A., 2002. The Second Episode of Economic Crisis, Forum Keadilan Magazine, No. 32, 24th October edition, in Bahasa. Purwanto, Deniey A., 2002. The Hopelessness of Economic Recovery, Forum Keadilan Magazine, No. 21, 8th September edition, in Bahasa. Purwanto, Deniey A., 2002. The Contradiction of RAPBN 2003 and TAP MPR No. II/2002, Forum Keadilan Magazine, No. 20, 24th August edition, in Bahasa. Purwanto, Deniey A., 2002. Tax Ratio, Forum Keadilan Magazine, No. 28, 17th October edition, in Bahasa. Purwanto, Deniey A., 2002. Review on Economic Indicators in Second Quarter, Forum Keadilan Magazine, No. 15, 28 July edition. Purwanto, Deniey A., 2002. Productivity and Labor Strike, Bisnis Indonesia, November edition, in Bahasa. Purwanto, Deniey A., 2002. Potential Problem The 5 Bank Merger, Suara Karya, September edition. Purwanto, Deniey A., 2002. Keppres 56/2002: between Small Medium Enterprise Strengthening and Bank Restructuring, Forum Keadilan Magazine, No. 10, 20th April edition, in Bahasa. Purwanto, Deniey A., Aviliani, 2002. Government Inconsistency On The Niaga Bank Divestment, 18th October edition, in Bahasa. Purwanto, Deniey A., 2002. Bank Indonesia after IV Amendment, Forum Keadilan Magazine, No. 19, 17th August edition, in Bahasa. Purwanto, Deniey A., 2000. Growth Pole Theory Approach to The Human Resources Reallocation in Autonomy Era, SEKTOR No. 1, August Edition of 14th years, in Bahasa. Purwanto, Deniey A., 1999. Regional Autonomy and Fiscal Decentralization, SEKTOR No.1, August Edition, in Bahasa. Purwanto, Deniey A., M.F. Hasan, M.I. Modjo, 2010. Who would not want to trade? Indonesia Economic Facing CAFTA Implementation, 2010 Indonesia Economic Outlook, Jakarta: INDEF Press, in Bahasa. Purwanto, Deniey A., M.F. Hasan, M.I. Modjo, 2008. Oil, Food and Poverty: The Malpractice of Government Policy, 2008 Midyear Economic Review, Jakarta: INDEF Press, in Bahasa. Purwanto, Deniey A., S. Nazara, T. Ahmad, 2008. Evaluation of the Proliferation of Administrative Region in Indonesia 2001-2007, Building and Reinventing Decentralized Governance (BRIDGE) – UNDP. Purwanto, Deniey A., B. Arifin, M. F. Hasan, I. Sugema, Aviliani, 2007. Growth in the Middle of World Economic instability and National Politic Stream, 2008 Indonesia’s Economic Outlook, Jakarta: INDEF Press, in Bahasa. Purwanto, Deniey A., B. Arifin, M. F. Hasan, I. Sugema, 2007. 10th Years after the Crisis: Threatening of Hot Money Reversal, 2007 Midyear Economic Review, Jakarta: INDEF Press, in Bahasa. Purwanto, Deniey A., B. Arifin, M. F. Hasan, I. Sugema, Aviliani, 2006. Real Sector Crossroad: Uprising or Falling?, 2006 Indonesia’s Economic Outlook, Jakarta: INDEF Press, in Bahasa. Purwanto, Deniey A., B. Arifin, M. F. Hasan, I. Sugema, 2006. Reshaping Fiscal Policy, 2006 Midyear Economic Review, Jakarta: INDEF Press, in Bahasa. Purwanto, Deniey A., B. Arifin, D.S. Damanhuri, M. F. Hasan, I. Sugema, 2006. Indonesian Economy 2005: the Economic in the Hand of Businessman, 2006 Indonesia’s Economic Outlook, Jakarta: INDEF Press, in Bahasa. Purwanto, Deniey A., B. Arifin, M. F. Hasan, I. Sugema, 2005. Indonesia 2005: The “Ungu Violet” Economic, 2005 Midyear Economic Review, Jakarta: INDEF Press, in Bahasa. Purwanto, Deniey A., B. Arifin, M. F. Hasan, I. Sugema, Aviliani, 2005. The Bank BRI’s escaping from Crises: from Restructuring to IPO, Jakarta: Bank Rakyat Indonesia, in Bahasa. Purwanto, Deniey A., B. Arifin, M. F. Hasan, I. Sugema, Aviliani, 2005. Role of Bank BRI in Microfinance Development in Indonesia, Jakarta: Bank Rakyat Indonesia, in Bahasa. Purwanto, Deniey A., I. Sugema, T. Ahmad, E. Wijaya, D. Ramdani, 2005. Foreign Financing Strategy of Indonesia, Jakarta: National Development Planning Agency, in Bahasa. Purwanto, Deniey A., B. Arifin, M. F. Hasan, I. Sugema, Aviliani, 2004. The 2005 Economic and Business Forecast: the Illusion of Economic Stability, 2005 Indonesia’s Economic Outlook, Jakarta: INDEF Press, in Bahasa. Purwanto, Deniey A., B. Arifin, F.H. Basri, I. Sugema, Aviliani, 2003. Economic Outlook in the Year of Political Event, 2004 Indonesia’s Economic Outlook, Jakarta: INDEF Press, in Bahasa. Purwanto, Deniey A., B. Arifin, M. F. Hasan, I. Sugema, 2003. Growth without Competitiveness, 2003 Midyear Economic Review, Jakarta: INDEF Press. Purwanto, Deniey A. B. Arifin, M. F. Hasan, I. Sugema, D.H. Wibowo, 2003. Banking Restructuring in Indonesia: The Experience of Bank BNI, Jakarta: INDEF Press, in Bahasa. 2011 “Uncover Long Term Financial Schemes for Infrastructure and Energy”, The 15th National Pleno Meeting of the Indonesian Economist Association (ISEI). 2010 “Reintegrating Indonesian Regional Economy in the Global Era”, The 10th IRSA Conference, Indonesia Regional Science Association. 2010 “Poverty Analysis Course for Policy Maker”, World Bank of Indonesia and National Development Planning. 2010 “Poverty Analysis Course for Technical Support”, World Bank of Indonesia and National Development Planning. 2009 “Economic System Reconstruction to Support Indonesia’s Competitiveness after the Global Economic Crisis”, The 17th Congress of the Indonesian Economist Association (ISEI). 2009 “The Political Economics of Regional Development”, 2nd IRSA International Institute, Indonesia Regional Science Association. 2008 “Seminar of the Impact of New Autonomous Region Development”, National Development Planning Agency of Indonesia. 2007 “Six Years of Indonesia’s Decentralization”, Economic Faculty, University of Indonesia. 2007 “Decentralization for Regional Competitiveness Improvement”, 4th Annual Academic Seminar in Economics, Post Graduate Program of Economics, University of Indonesia. 2006 “The Synergy for Strengthening National Economy in Global Economic Development”, 3rd Annual Academic Seminar in Economics, Post Graduate Program of Economics, University of Indonesia. 2005 “Indonesian Economy under Global Changes: Strengthening Monetary-Financial Stability and Real Sector to Accelerate Economic Growth”, 2nd Annual Academic Seminar in Economics, Post Graduate Program of Economics, University of Indonesia. 2005 “2005 National Seminar: Reviewing The 5 National Economic Agendas on Supporting The SME and Bank Financing”, Student Executive Board, Economic Faculty, AirlanggaUniversity. 2005 “Critical Analysis of Bank System: Business Sector Development”, 3rd IMABI Congress and 2nd National Seminar, Social and Political Science Faculty, LampungUniversity. 2004 “Structural Change for Economic Recovery: Strengthening Public Policy in National Perspective”, 1st Annual Academic Seminar in Economics, Post Graduate Program of Economics, University of Indonesia. 2004 “Panel Discussion of Microfinance Revolution: Future Perspective for Indonesian Market”, Indonesian Economists Association (ISEI) of Jakarta. 2004 “Islamic Economics: Its novelty to resolve the Economic Crisis”, Forum Study Islam (FSI) Asy Syifa, Economic Faculty of Mercu Buana University. 2003 “Investment in Indonesia: for the Economic Re-establishment and Regional Autonomy Implementation”, Postgraduate Program of DiponegoroUniversity. 2003 “Accountability and the Role of Intermediary Institution in Regional Development and Social Development toward Sustainable Economic Growth and Poverty Reduction”, Partnership for Governmental System Reformation in Indonesia. 2000 “Seminar of Regional Government Bonds Market Development”, Indonesian Economists Association (ISEI) of Surabaya. 2000 “Seminar of Human Resource Development to Solve the Global challenge in Regional Autonomy Era”, Postgraduate Program of Airlangga University. 2000 “Discussion of Journalistic Writing for Student Press”, Student Press Organization of Economic Faculty, Airlangga University in cooperation with the Indonesia Accounting Association (IAI). 2000 “Workshop on Managerial and Organization of Student Press Organization”, Student Press Organization of Economic Faculty, AirlanggaUniversity. 2000 “National Economic Seminar: Economic Prospect of Indonesian in 2001”, Student Board Organization of Economic Faculty of Airlangga University in cooperation with Weekly Business and Economic Bulletin “KONTAN”. 2000 “National seminal: Strategy of Economic Recovery in New Government Era”, The Alumni of Gadjah Mada University Society of East Java (KAGAMA JATIM) in cooperation with Small Enterprise Development Society (PUPUK) Surabaya. 1999 “Seminar of Anti-Monopoly Law and its Impact to Small and Medium Business”, Economics and Development Studies Department, Economic Faculty of Airlangga University in cooperation with Small Enterprise Development Society (PUPUK) Surabaya. 1998 “Stock Exchange Game”, Student Executive Board, Economic Faculty, Airlangga University in cooperation with Surabaya Stock Exchange (SSE). 1998 “National Economic Seminar: Prospect of Indonesian Economy in Reformation Era”, Student Executive Board, Economic Faculty, AirlanggaUniversity. 1998 “Open Debate on Indonesian Economic Nationalism to Cosmopolite Society Deliberation”, Student Executive Board, Economic Faculty, AirlanggaUniversity. 1997 “National Economic Seminar: Business Strategy in Hyper Competition”, Student Executive Board, Economic Faculty, AirlanggaUniversity. Orgaization : Vice Rector for Resources and Development. Bogor Agricultural University, Indonesia. Orgaization : Economist at the Institute for Development of Economics and Finance (INDEF), Jakarta, Indonesia.